It’s officially Fall and now you can start stocking up on everything pumpkin! 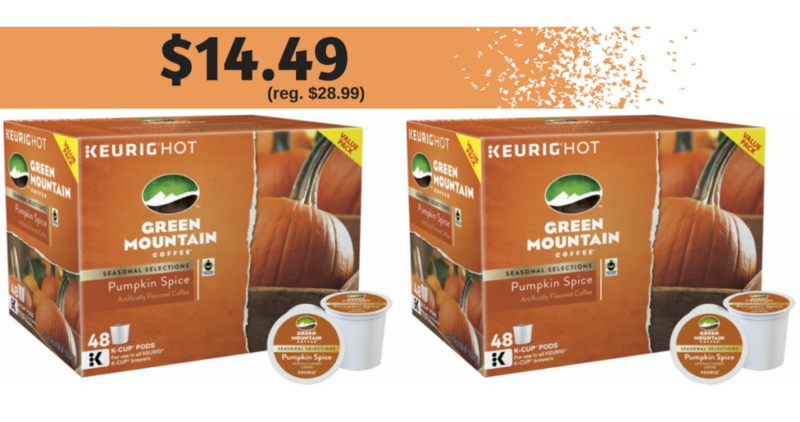 Right now, BestBuy.com has the Green Mountain Coffee Pumpkin Spice Blend, 48 pack on sale for $14.49 (reg. $28.99). That makes them 30¢ a cup… or a whole lot cheaper than going out for a cup! Select FREE in store pickup if available in your area, or shipping is free on orders of $35 of more.